Join Hired Hands Homecare at our TWENTY-FIFTH Marin Senior Information Fair! Greetings! Join us today, Oct. 24 from 9am – 3pm at the Marin Senior Information Fair. There’ll be tons of great information for and about Seniors. Get your Flu vaccine, and make sure you stop by the Hired Hands Homecare booth to say hello to Blake and Kirsten. We’d love to answer any questions you may have about how we can help families and their senior loved ones! 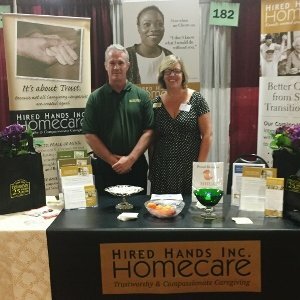 Hired Hands Homecare is proud to celebrate 25 years of participation in the Marin Senior Information Fair, and supporting the seniors and families of Marin County. For more information about the Marin Senior Info Fair, please visit https://marinseniorfair.org.